During your health and safety trainings and warm-ups, instruct workers to BREATHE through the exercises. Muscles need air to operate properly and improve range of motion (or, as we refer to it more commonly: stretch). Always inhale with your nose and exhale with your mouth. Every stretch or exercise performed during trainings should include BREATHE. 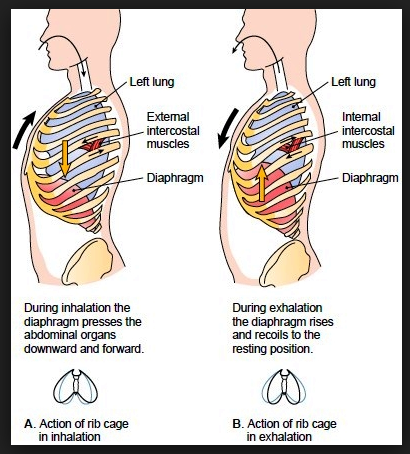 Inhaling through the nose helps use the deeper part of you (diaphragm instead of the throat) to get air. Exhaling though the mouth helps use your rib muscles (internal obliques, to get technical) to push out all the air and get the best breath possible. Try it! Take just six BIG HUGE breathes, inhaling though the nose and exhaling through the mouth. It’s better than a cup of coffee when you get done. This week, our move marks the beginning of a strength series, which will culminate as a list of the best strength exercises you can do in the shortest amount of time. (3) reducing chronic injury and strain to shoulders and lower back -- the two most common joints at risk. This classic "pulling "exercise covers the large group of muscles in your middle back, and engages shoulders to pull back into the proper place in their socket, reducing chronic injury by way of keeping them away of a vulnerable position to strain tendons. Also, strengthening the muscles of the middle back reduces the risk of lower back injury by assisting movement and lifting without using the various tiny muscles in the lower spine improperly. Stand tall with a long flat fine, and stay firm through the stomach. Engage in two sets of 15 to 20 repetitions, focus on drawing in your chest open and pulling your elbows back, trying to touch your elbows together behind you as you pull. Perform three times per week. Please note: this exercise can be performed in a seated or standing position, and, can be transferred to a cable cross machine, or performed bent from the waistline if you have a dumbbell. It is often challenging to find a proper time and location to perform a stretching routine during the workday. We are pleased to offer a MineFit solution to the this challenge with Mini-Break-Minutes (MBM’s). Workers can embrace the MBM as a sitting break or a standing activity, depending on how it best compliments the daily rigors of their job. When you can’t get up and about to do your standing stretch and warm-up, or if you are in the middle of a task during the workday, perform your MBM's to improve focus, increase circulation, keep muscles and joints healthy, and sustain the mind and body. MBM2: Raise your arms over your head and extend your fingertips, splaying your hands as far apart as you can, then turn Right and Left 4x each side, taking a big breath on each turn. Why? : This move opens your ribcage to get more air into your lungs. It helps relieve neck and upper back pain, and improves blood flow to the arms and the brain. 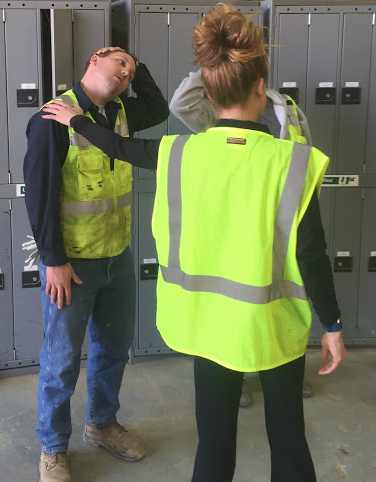 Remember: Performing an action which reverses daily worksite repetitive movement patterns reduces chronic pain and injury, and is statistically proven to improve overall worker productivity. Set an alarm for every two hours of your work shift to perform this MBM. 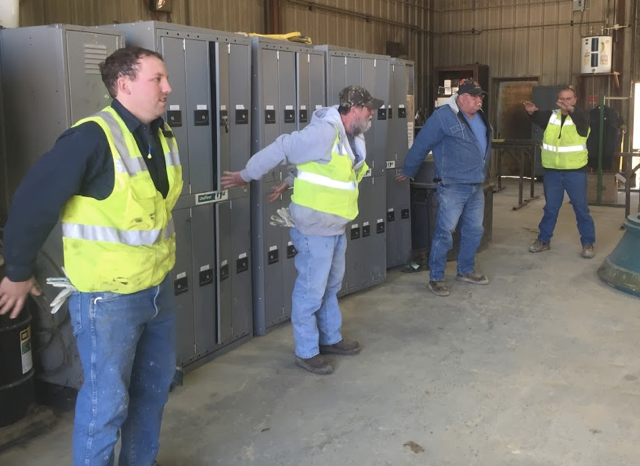 MineFit has developed a basic set of seven stretching moves which would be an excellent start for employees to use on-site. They are easy to present to employees one-by-one at toolbox talks or other meetings. Start by doing them yourself, and see if your site can make them a habit. We are open to your feedback and ideas on ways to utilize the MineFit tools on-site. Please download the attached document and distribute to your employees, plant managers, HR team, and heads of training and safety. We hope you can use them provide questions and feedback. If you would like an extended version of each of the stretches, available as single-page documents to be sent weekly or posted on internal AV systems, please send a direct mail and we can transfer them to you. 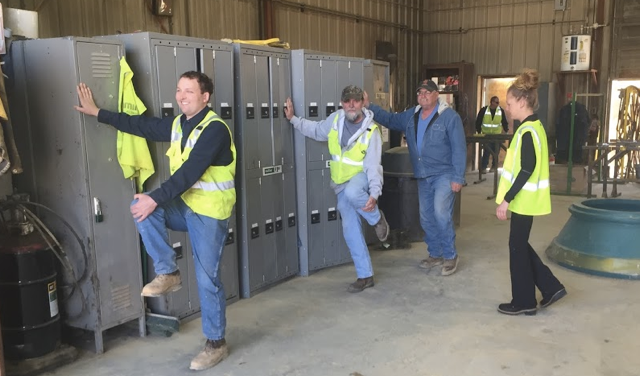 MineFit has developed a basic set of seven stretching moves for employees to use on-site. In previous weeks, we introduced the Cross-Body Stretch, the Overhead-Reach, the Side-Bend, and the Single-Leg Stretch. This week, the Heel Raise helps prepare workers for each step they take, starting with raising the back heel on every step, to land safety on the front leg! It is valuable in connecting balance from head to toe: staying upright when the heel is lifted and improving range of motion in the foot and ankle to stay limber in each stride. Perform 20 heel raises in standing position. Do half with arms still at the sides to promote core stability, and half with arms extended at chest level for an active trunk. The body should be complete upright, aiming to get the heels off the ground an inch more with each repetition. Imagine a rope on top of your head pulling you to the sky. Monday Moves: Super On-Site Stretch Series Week Three: Side Bending & New Photos! Stay tuned for more stretches and exercises as part of the broad MineFit initiative for this year, now including photos which are highly relatable to workers. Next in this series is the Side Bend. This helps open the sides of the back, where the longest muscle in the body is attached at the armpit and the hip. 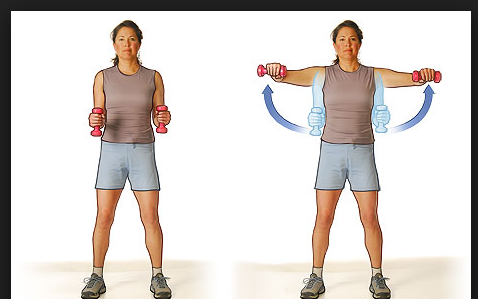 It reduces shoulder and hip problems by creating length in the middle of the body, ensuring shoulders aren't pulled forward and hips are better able to extend and flex. Perform 10 to each side, and take a deep breath every time you reach your hand to the floor, lengthening from neck to ankle and making the body into the shape of a C.